A good Flanged Medieval Mace is just what you need to get past any opponents armor. Not only does a mace like this pack considerable impact, but the angular flanges also offer a good chance of piercing armor, including weak plate, in some instances! 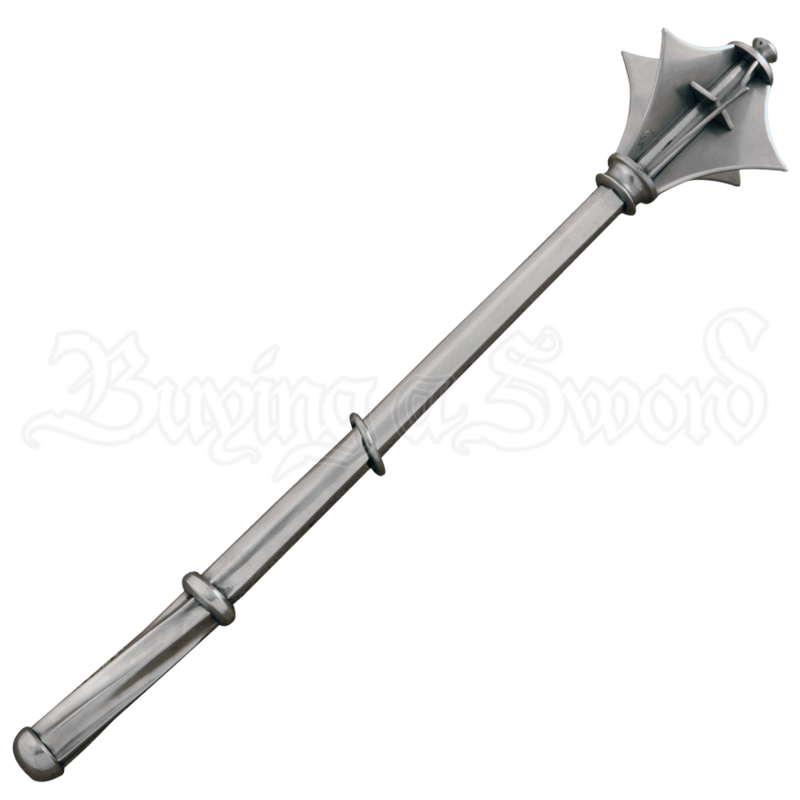 This particular model of flanged mace is based on a historical medieval weapon, which was found at Windsor Castle, in England. The recreation is made entirely from steel, with a distinctively polygonal shaped shaft and a spiral-twisted grip. A secondary feature of the haft is a partial grip, set above the traditional handle, marked off by a slanted disc on the haft, to allow for one-handed or possible two-handed use, ensuring that this mace can a wielder can really apply the force with a two-handed blow, if need-be. The mace-head consists of several triangular flanges with concave edges, ensuring that each flange ends in a wicked point that would rend and shred whatever it hits. Solid in its design, this Flanged Medieval Mace is a recreation of one of the ages most terrific and terrifying weapons, one that even knights would have feared, if they should face it in battle.